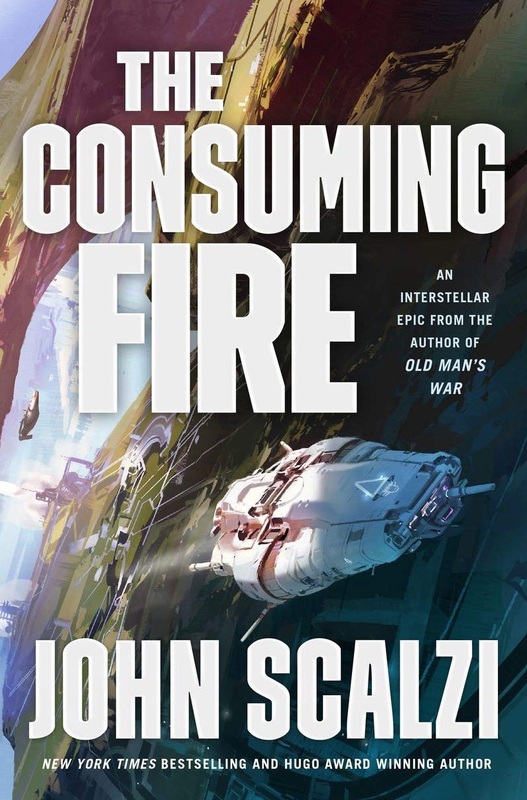 The Consuming Fire by John Scalzi, science fiction. The Interdependency series number two. This is the second in the series, following The Collapsing Empire. The Interdependency—humanity’s interstellar empire—is on the verge of collapse. The extra-dimensional conduit that makes travel between the stars possible – the Flow – is collapsing, leaving entire systems and human civilizations stranded. Scalzi sets up an interesting scenario for a star empire facing it’s possible end, and as always his characters are intriguing, if somewhat foul-mouthed. I read this in a couple of days, and it’s obvious from the ending there will be another in the series. Bring it on, Scalzi! 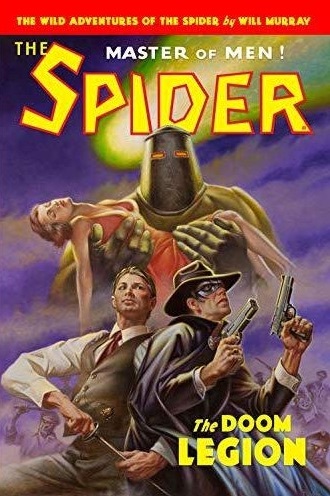 Pretty good pulp story, Murray is really good at these. Just finished The Feral Detective by Jonathan Lethem. It’s the first book I have read of his since Motherless Brooklyn. Not sure how much I liked it, but at least it was a fast read. Also read Lou Berney’s Long And Faraway Gone. Loved it. One of the best books I’ve read all year. Now reading An Unexplained Death by Mikita Brottman. It’s a nonfiction book about a death ruled a suicide but was instant possibly murder. The first 60 pages have just flown by. Read the Consuming Fire last month. Enjoyed it. Scalzi writes in a nice breezy way that reads fast unlike some other space opera writers who seem to require a Phd in physics/astronomy to understand them. Steve, I may try the Berney, I’ll put a hold at the library. Very well said about Scalzi’s style. I found myself thinking maybe I should have waited until this series is complete and then read them all back-to-back. But who knows when that might be. THE LONG AND FARAWAY GONE was one of my favorite books last year. Great stuff. I liked the Scalzi too. The most foul-mouthed character was also my favorite, so it didn’t bother me. It took me a long time to get through the 600 pages of Harry Potter and the Deathly Hallows; the last 200 pages were fast reading, the first 400 were slow. I was also reading bits and pieces of Les Miserables at the same time. Trying to finish that one by end of December but don’t know if I will make it. I finished another book I had been reading off and on: I’d Rather Be Reading: The Delights and Dilemmas of the Reading Life. And now I am reading Bruno, Chief of Police by Martin Walker. Set in France. I am about half through it. It’s been so long since I read the Potter books I hardly recall how they wrapped up, but yes, her books got longer, and longer still. Have never read Les Miserables, but did see the play (I know, not the same). I’m still looking forward to your review of the Krueger. I’ve put a hold on I’d Rather Be Reading: The Delights and Dilemmas of the Reading Life at the library. Seems to be a long waiting list. The only thing I got read was THE GENTLE GRAFTER, the next volume (originally published in 1910 I believe) of O. Henry’s short stories, this one about con man Jeff Peters for the most part, I have read about half of the downloaded MISSING, PRESUMED, first in a new series by Susie Steiner about Det, Sgt, Manon Bradshaw. I like it and need to finish it, Manon is 39 and her loneliness and terrible dating experiences provide some humor. Jeff, sorry you were sick and sleepless in Brooklyn. Hope by today you’re feeling better. I’m sure you’ll be reading soon. Like so many other mystery series, I’m not familiar with Susie Steiner’s book. These days, humor is good. Like Jeff, Diane and I had our Thanksgiving disrupted by illness, but it was our friend Cindy (who invited us to spend Thanksgiving with her and her family) who suffered a stroke and had to be hospitalized. Diane stepped up and prepared the Thanksgiving feast for Cindy’s family (and us). We were rushing around getting things ready so reading was off the table. I did read Michelle Obama’s BECOMING and some short stories. I have both THE DOOM LEGION and THE CONSUMING FIRE but haven’t read them yet. Your reviews make me want to drop everything and read them RIGHT NOW but we’re going to the hospital to visit Cindy today. And snow is in the forecast tonight and tomorrow so I may be snowblowing instead of reading! It was fine of you to step in for Thanksgiving that way. You’ll enjoy both of these books when you get to them. I finished Megan Abbott’s latest, GIVE ME YOUR HAND — an excellent book and higly recommended. I have two of her earlier books at the top of mount TBR. I also read the first three volumes of Marjorie Lui’s graphic series MONSTRESS, an ambitious and sometimes confusing fantasy. The series has won several major awards. The artwork by Sana Takeda is amazingly complex and superb, but with so many characters several tend to look alike and added to my confusion. Each volume covers six issues of the comic book; I’m not sure if Volume 4 is available yet. but this series is definitely worth your time. Another interesting GN was Thomas desaulnier-Brousseay and Simon Leclerc’s IDLE DAYS. Set in Canada during World War II, it follows a young man who has deserted from the army and is living in hiding in his grandfather’s remote house which the two are remodeling. The house has a blighted history and it may or may not be haunted. I also read Brian Michael Bendis’ INVINCIBLE IRON MAN: IRONHEART, VOLUME ONE — RIRI WILLIAMS PREMIERE. Tony Stark is dead but has transferred his consciousnss to an AI. Taking up the Iron Man mantle is a fifteen-year-old girl. Also in graphic novels, I read THE ADVENTURE ZONE: HERE THERE BE GERBLINS, which is based on a D&D role-playing podcast by Chris, Griffin, Justin, and Travis McElroy. I’m not a gaming fan but this book is smart and funny. Finally, I read an 1954 textbook, SCIENCE FICTION AND READING GUIDE, edited by marjorie Barrows. This was volume 16 in a set called THE CHILDREN’S HOUR. The stories ranged from very good to embarrassingly juvenile. It also included a couple of outdated science articles. This one is only for completists. It has been bitterly cold here with violent rains. The rains let up for Thanksgiving and the cold went away in time for our ritual Sunday morning Gulf Coast beach time. I gained five pounds over Thanksgiving and have already lost one of them — the perils of good food, my personal First World problem. Sorry to hear about that nasty weather, Jerry. I don’t think of the panhandle as being “bitterly cold”. I suppose the weather is making it harder to sell the house. Speaking of which, you didn’t respond to my request for your new address so your Christmas card went to the old one. As for weight gain, I had a little last week, but trimmed back this one and lost a lb. It’s always a battle, isn’t it?